ithin past several years the world of high-end audio took a course leading it towards the "wall". What wall? A complete price stratosphere. Sure, quality has to cost, and for an exceptional quality one pays double or even triple. Despite this, the current prices for the audio equipment of the highest quality become outrageous even for those who had listened, reviewed and bought such products without batting an eye before. This state of affairs has been noticed and commented on repeatedly by most editors and journalists of numerous specialized magazines around the world. Which of course has not changed the market even a bit. Because, it seems to me, it is inscribed in the DNA of the luxury products industry - the pursuit of excellence on one hand and maximizing return on investment on the other. Since we are talking about products that are amortized over long period of time, the margin has to be sufficiently high. The downside of this trend an increasing distance between brands leading the pack and the rest of them, resulting in fewer and fewer people deciding to keep up with the former even if they could afford to. The advantage, in turn, are large sums spent on R&D. 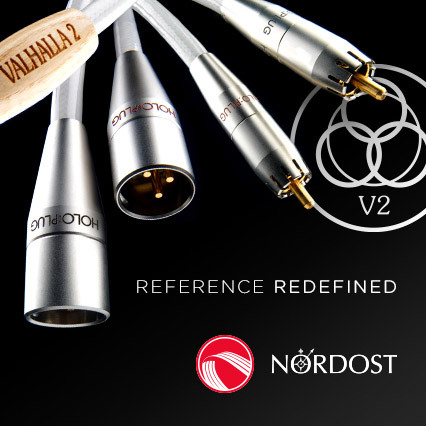 Changes can best be seen among manufacturers of loudspeakers, amplifiers and cables, but the other segments of perfectionist audio market adapt to the situation including headphone manufacturers. 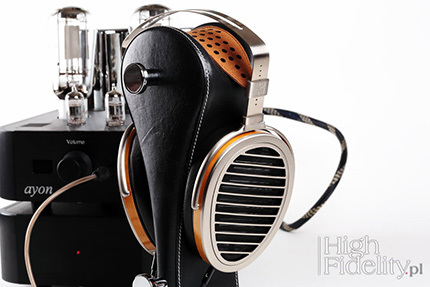 Because when seven years ago, the HiFiMAN, then not very well-known producer from USA, associated with designers and engineers from China, launched a magnetostatic headphones, HE-6, it seemed that shot itself in the foot. Yes, it was a perfect headphones that we bought for our reference system, but its price, almost 6000 PLN, seemed completely disconnected from reality. Even if the biggest HiFiMAN's competitor, Audeze, offered their LCD-3 (though also in our reference system), that cost even more at the time, around 8000 PLN. During the High End Show 2015 in Munich I saw and listened to the new HiFiMAN reference model, HE-1000, for the first time. These headphones made a huge impression on me, and as a result we decided to award it with the Best Sound High End 2015. The problem, however, was obvious – asking price for the new flagship was nearly 18 000 PLN. 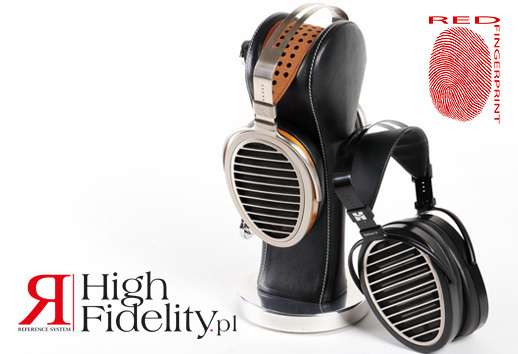 Note, that the competition kept up, because the Audeze LCD4 cost more than 17 000 PLN. In this way, we left the four-digit price level and firmly entered into a five-digit one. In the case of HiFiMAN increase in price amounted to, more or less, 150%. Now lets recall, please, what I said about the reasons for the pursuit of the impossible: on the one hand companies try to protect their financial liquidity, and the other they need money to finance research and development of new technologies, solutions, also better, more expensive materials and higher quality workmanship. 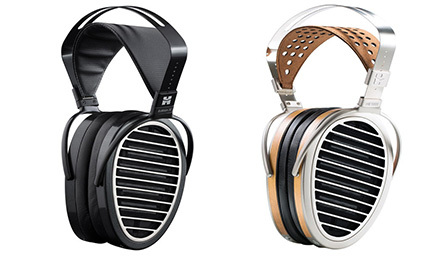 Just look at the new HE-1000, now available in V2 version (that we're testing), and compare them with HE-6. 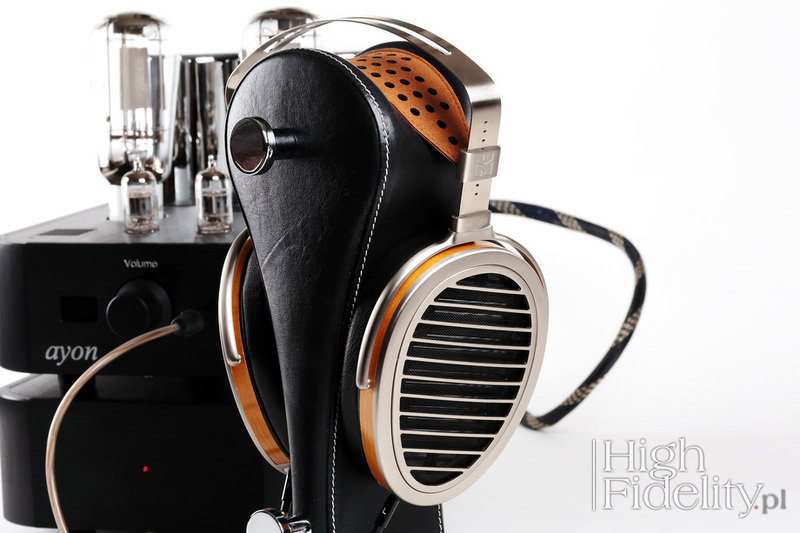 While changes in aesthetics and performance for LCD-4 Audeze compared to LCD-3 are not so spectacular, that new Mr. Fang Bian's flagship is a different story, which has – apart from the general concept - almost nothing to do with the past. First of all, their appearance changed significantly. Previously, all HiFiMANs had round ear cups, now they feature elongated ones, more like what we find in the Sennheiser HD800. The round shape was a simple transfer of the shape of the membrane. New versions of both the original (V1), and V2, have elongated shape and thus adapt better to the anatomy of a human head. These are still magnetostatic headphones, but with asymmetric membranes and grill that reminded me a car's air intake grill. This solution is called Window Shade Grill, and it is intended to improve the rigidity and at the same time facilitate an outflow of air from the outside of the membrane. To take advantage of nanomaterial membranes used in HE-1000 V2, engineers redesigned also the magnetic system. It is called Advanced Asymmetric Magnetic Circuit and is composed of magnets arranged on both sides of the membrane, but in an asymmetrical manner - on the outer side they are much larger than on the inside. Both models under review - HE-1000 V2 and V2 Edition X - look similar, but differ with some important details. The diaphragms of the former are made of 0,001mm Nanotech. These are headphones, with ear cups made of metal and wood. The headband is made of leather. The X Edition V2 features a soft, pleasant to touch material, and the ear cups are not finished in wood, but rather in Mylar. The soft parts of ear cups in both V2 models are made of polyester - previously it was a velour in case of HE-1000 and the EDX for Edition X. Changes (V1 vs. V2) include also a system keeping headphones on one's head. Now the adjustment range is bigger allowing better fit to a wider range of shapes. One of the most important changes compared to the series, whose crowning achievement was the HE-6 is also a way of connecting cables. Previously, all headphones featured good quality twist-off plugs used eg. in high frequency technology. In everyday use they turned out to be not very convenient, also soldering was complicated, so with new models manufacturer decided to go with, smaller than a classic, mini-jacks. In addition to differences in the mechanical design and finish both new models also have a slightly different so called "Virtual user". Edition X feature higher efficiency - 103 dB vs. 90 dB - and lower impedance - 25 Ω vs 35 Ω - so they are easier to drive for portable systems (players and headphone amplifiers). Also lower weight suggest mobile usage - 399 g vs. 420 g.
Both models are supplied in a tasteful boxes covered with “Eco” leather. Each model is also delivered with pretty good cables. With the HE-1000 V2 three are - balanced, terminated with 4-pin XLR connector and two unbalanced ones - with a large (f6,35 mm) and small (3.5 mm) jack. These are custom designed three core, crystalline copper cables with silver plated wire. With X Edition customer receives two slightly different cables - both unbalanced. The V2 versions premiered during Hong Kong High End Audio Visual Show, that took place between 5th and 7th August 2016. Recently manufacturer announced that original version can be upgraded to V2. I am a proud owner of HE-6 and I use these headphones as a reference model when reviewing other cans or headphone amplifiers. It's an a very difficult challenge for the latter, because they require amps capable of delivering high current output. If reviewed amps can not provide that I use Sennheiser HD800 and AKG K701 instead. Stock cable has been replaced with Polish one made by Forza AudioWorks. My reference headphone amplifier is also a special model, battery-powered with current output. It is the Bakoon Products HPA-21. HE-1000 V2 and Edition X V2 were compared to that system, both using stock cables. But I also performed separate listening sessions using thee new Ayon Audio headphone amplifier HE-3 and Forza AudioWorks Noir Hybrid HPC cable (the owner of the company, Mateusz Przychodzień, calls it that), in which the core is made of Java cotton. And finally I also compared both HiFiMan's stock cables. The temptation to start the using more expensive headphones was huge, but I managed to resist it :) I preferred to start by comparing the HE-6 and similarly priced model because it could offer a real information about the changes/progress. So let me state that the description of the Edition X V2, then I'll move on to description of what changed when switched to HE-1000 V2. The new version of the Edition X offers a completely different set of characteristics – both advantages and disadvantages - than HE-6. It's hard for me to imagine two more different pairs of cans, yet remaining within the same overall aesthetics of sound. If we said that the HE-6 in terms of shaping the attack of the sound, tonal balance and speed is similar to what Stax electrostatic headphones offer, the X would be close to what the sound characteristics of a classical Beyerdynamic model, DT-990 Pro (600 Ω). In short, the point is that these headphones focus presentation in the midrange. They are well balanced but upper end is gently rolled off, and it starts already at fairly low frequency. There is no doubt that the idea was to create as pleasant and rich presentation as possible and the goal was achieved. But there is no denying that compared to HiFiMAN Beyerdynamic are a lot less resolving and less spatial. Although the DT-990 Pro are capable of delivering really great depth, the Edition X V2 are clearly superior in this area. They present events in incredibly realistic manner, ie. from a distance, obscuring, losing details. The upper treble is clearly rolled off, at least compared to classic, dynamic and electrostatic models, but this roll off doesn't mean also extinguishing higher frequencies. When you turn up the volume everything goes back into place, even though it is still a smooth, creamy sound. And that kind of music, ie. needing spacial presentation with nice, “gentle” treble sounds incredibly well with these cans. I did not want to open with that, which is why I refer to Audeze only now - in general terms, ie. in terms of tonal balance Edition X V2 and LCD-3 sound similar. On the other hand the HE-6 are so radically different from all Audeze models that there was no hesitation – it was always "either, or" choice. It was , moreover, not only about the sound but also aesthetics and comfort of wearing – those who loved one of them didn't like the other. With Edition X V2 it seems, at first glance, to be a different situation, because the quality, design, comfort, and the performance are really close to the one of LCD-3. But they are not the same. After listening to it over extended period of time, I think, that Audeze are even more creamy and uniquely warm sounding. They over nicely extended, tuneful and well differentiated bass, but there is no clear definition and no real punch. The X show it in a more physical way and go down even lower. Their midrange is also warm, but not by using rounding of the attack. It is simply the most saturated part of the frequency range, and the treble falls a little behind.